The time children spend with their fathers and the father-child bond greatly influence children’s mental, physical, social and emotional development and capacity. Yet, our 2017 research study on fatherhood revealed that 91% of fathers in Turkey consider mothers to be responsible for child care; 51% have never taken their children to the bathroom; 36% have never changed diapers and 35% have never trimmed their children’s nails. 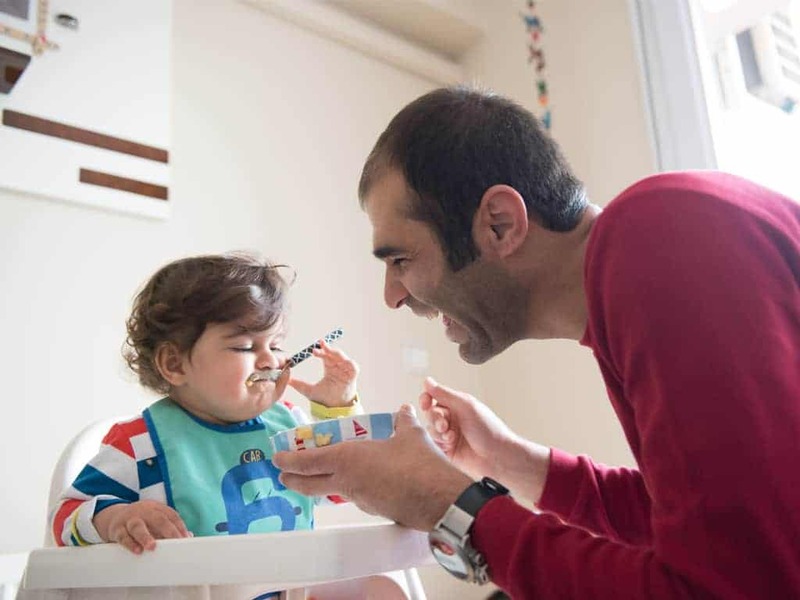 AÇEV has implemented its Father Support Program (FSP) since 1996 to support fathers in assuming responsibility in child care, building democratic relationships with their children and actively contributing to their children’s development. With the FSP, we reached more than 60,000 fathers in 21 years. The FSP targets literate fathers of all education levels who have 3 to 11 year-old children. The FSP aims to raise fathers’ awareness on the kind of support they can provide for their children’s healthy development, empowering fathers with knowledge on child development and parenting. We implement this program with a vision of more democratic behaviors in families with fathers spending more time and building a healthier communication with their children; being more knowledgeable on their children’s needs, and transforming their behaviors into being more violence-free. The program, updated in line with scientific advances and the society’s needs, is shown to create positive change in fathers’ attitudes on parenting. The FSP has proven to influence a significant decrease in authoritarian and permissive parenting attitudes. Graduates reported becoming more understanding of their children’s need for play and close interaction, spending more time with their children, and showing them more affection.